International Women's Day has been celebrated across the world since the early 1900's. 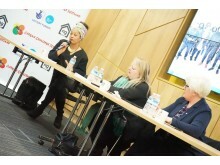 Originally, its aim was to provide a forum for women to campaign for equality and women’s rights. Over time, it has evolved and now in March each year, thousands of events are held throughout the world to recognise the progress that has been made, to inspire women and to celebrate their achievements. The area of the discussion was focussed on the gender gap in Education, Health, Economic Participation, Political Empowerment and Earning Potential. The event was attended by women, men and children from the community and supported by ng homes, Saheliya and Police Scotland. Anne McLaughlin MP for North East Glasgow said: "International Women's Day gives us a focus where we can look at where we are in terms of women having equal respect and opportunities to men. I feel strongly that the contribution of women has been hugely under reported in history but nowhere near as under reported as that of black women. So I was delighted to be able to highlight the work of Mary Seacole the Jamaican Scots nurse whose voluntary work looking after injured soldiers in The Crimean War is almost never talked about. The main difference between her and Florence Nightingale is simply skin colour. So whilst we are celebrating women, I want to be sure it's ALL women and I was very grateful to African Challenge Scotland for the opportunity to be able to say that." 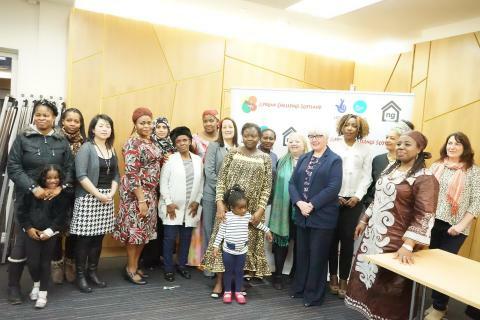 Also on the panel, Patricia Ferguson MSP for Glasgow Maryhill & Springburn said: "Thank you to African Challenge Scotland for organising the 'Pledge for Parity' event as part of the celebration of International Women's Day. It was really encouraging to see so many women - and men discussing and debating issues around support for women in education, childcare and politics. I found the exchange of ideas exhilarating and I hope that more women will become involved in their communities as a result." School of Health and Life Sciences Lecturer at Caledonian University, Dr Ima Jackson, said: "Thank you for enabling me to participate in the international women's day event- it was an interesting moment and it was great to hear from African and other women from the minorities communities, articulate their perspectives of the issues which so clearly impact on their lives in Scotland. Bringing up children, in particular female children in a largely "white" society raises concerns for families and demands particular skills. We must continue to speak of, support and encourage diverse perspectives to be heard and included whilst continuing to aim for gender equality - 50/50 by 2030 is the focus - it is important to note that many of the young children at the event, playing and enjoying the delicious food will just be reaching adult hood in 2030 - we must make sure there future is more Gender equal- so yes let's Step it up!." 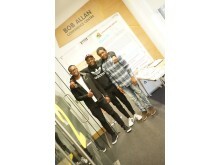 Participants enjoyed the event and Edem A said"I enjoy the idea of the international women’s day event brought by African Challenge Scotland. It reminded me of many positive things back home. I was so excited to participate and to meet other women and also to have my issues addressed by the speakers. As a single mum of three, I would like to have opportunity to attend a course and participate in more educational activities." From a youth perspective Mary Kelassa said: "I would like to see more of this type of event in our community to inspire many young girls like me to be able to feel confident and achieve higher in the future." As part of the Ethnic Minority Third Sector Network, African Challenge Scotland and partners are committed to maintaining their commitment to championing and promoting active, participative, democratic citizenship. African Challenge Scotland (ACS) in partnership with BEMIS, CEMVO and Central Scotland Regional Equality Council (CESREC) invite Black and ethnic minorities to participate in a Scottish Parliamentary Hustings taking place in Glasgow on the 24th March 2016 at ng homes’ Saracen House from 5.30 pm to 8.30 pm. This is an opportunity for BME to query and discuss the manifesto commitments of Scotland’s political parties and for them to engage communities in discussion around key policy areas and priorities for the forthcoming Parliamentary Period.